Heeft u een vraag voor Happy Turtle Hostel? 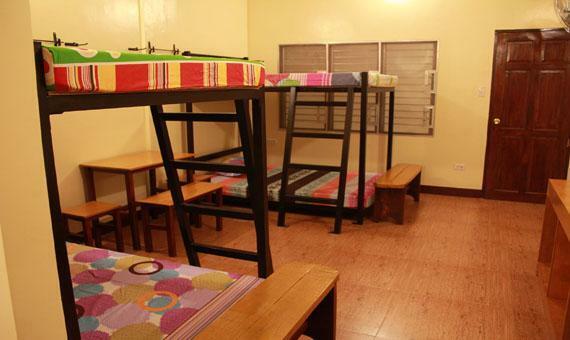 Gunstig gelegen in Manila, is het Happy Turtle Hostel een goede uitvalsbasis om deze levendige stad te ontdekken. Gelegen op 1.8 km van het hart van de stad, bevindt dit 1-sterren hotel zich op een excellente locatie met de grootste attracties binnen handbereik. Dankzij de praktische locatie liggen alle belangrijke trekpleisters in de buurt van het hotel. Profiteer van de ongeëvenaarde dienstverlening en voorzieningen in dit hotel in Manila. Enkele voorbeelden van faciliteiten die dit hotel biedt zijn 24-uur roomservice, wi-fi in openbare ruimtes, tours, rookuimte. Het hotel heeft 5 prachtig ingerichte kamers voor gasten, elk met draadloos internet (gratis), rookvrije kamers, bureau, balkon/terras, ventilator. Het hotel biedt een uitstekende variëteit aan recreatieve faciliteiten, inclusief tuin. Wat de reden van uw bezoek aan Manila ook is, het Happy Turtle Hostel is de perfecte keuze voor een enerverende vakantie. Het resort bij het inchecken voor bijkomstige kosten een borg vereist die bij het uitchecken terugbetaald wordt. Neem voor het specifieke tarief rechtstreeks contact op met het resort. I actually had no problems with my roomate and the other tenants because they’re all fine and friendly. Everything in this place is recommendable. Except for a couple of things, First, the housekeeping lady woke me up because of her loud voice chitchatting with another bedspacer while she was cleaning the room, sweeping the floor under my bed while i was still laying down trying to get back to sleep because i checked in late around 2AM. I wasnt really able to rest because She just barged in without knocking and does not move discreetly inside the room. Second, there was no towel provided. So you are just paying for the bed, cheap pillow and a super thin blanket. Not really worth the money. 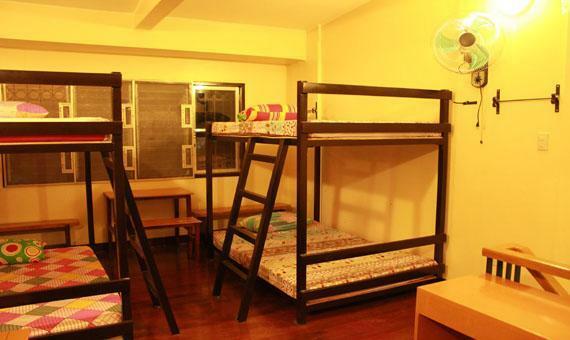 I know some cheaper capsule hostel that provides your basic needs like towel. Location is one block away from Malls. Overall, best place to stay. near to shopping mall and public transport. Nice place to stay specially in tight budget. I moved to this hostel from Makati to be closer to the Cubao bus station for my very early morning bus ride the next day. The hostel was in a more out of the way location in town, however I met a very friendly Filipino woman at the hostel who chatted to me a lot, which was very different from my lonely time in Makati. The beds were very large and the room was very spacious. There was hardly anybody there when I was staying and it felt like I had a private room. The facilities were clean and satisfactory and I would recommend it to anyone who needs to be close to the bus station or who wants a pleasant space to explore from. It's also close to the train station which you can take to many other places in Manila. I've travelled many parts of phil. I'm sure this was the best ratio the price. Super spacious and clean... honestly bad thing is just the position. I recommend this hostel absolutely. Not your usual backpacker place. Here you can mingle with locals, NGO workers, lost souls, and scientific vagabounds. Big lockers, big beds. Decently located. Paradise for the experienced traveller. Soft initiation for the newbie. Staff can speak english and were very friendly and supportive, especially after I was kidnapped and robbed in the city. and you took my USD 15 fee instead of warning me when i made the 2nd booking on the same dates for the same city with the same name. It was good! Their bunk beds were really big and sturdy that I had no worry sleeping on the upper deck despite weighig 73 Kgs. The location was very near (walking distance) to SM, Araneta Coliseum, etc. The room is very spacious, quiet and relaxing. 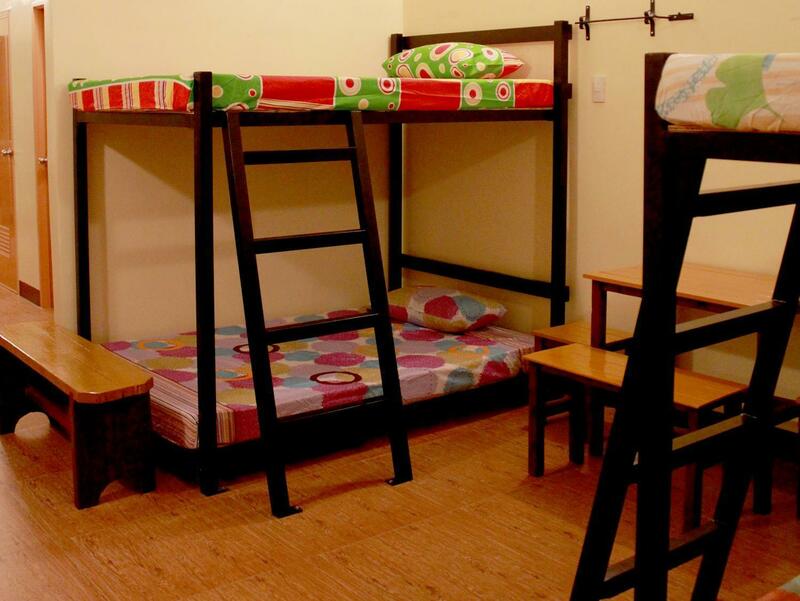 The only negative comment we can say is that every person needs to give a security deposit of P1,000! Huwhaat!!? We were four so that's P4,000! And we were on a tight budget since we are starting businessmen. Geez! That was just so irritating. Always nice to come back here. Those with a light sleep beware: This place is LOUD. Those males coming to this country to "rent" a girlfriend: Please stay away. i am repeat visitor when i go to work at UP Diliman. not for everyone (very loud) but the good thing is that there are no elderly Europeans men staying there who come to Manila.